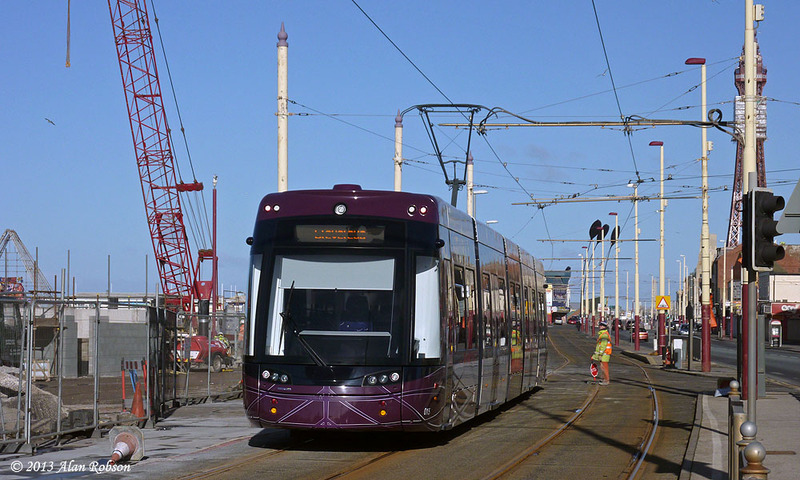 Flexity 003 is seen waiting in the sanding bay at Starr Gate depot on 26th February. 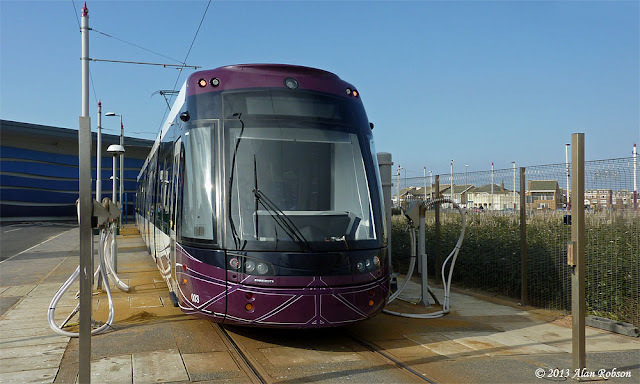 The sand plant area of the new depot is used for filling up the sanders on the Flexity 2 trams. Flexity 002 was named "Alderman E.E. 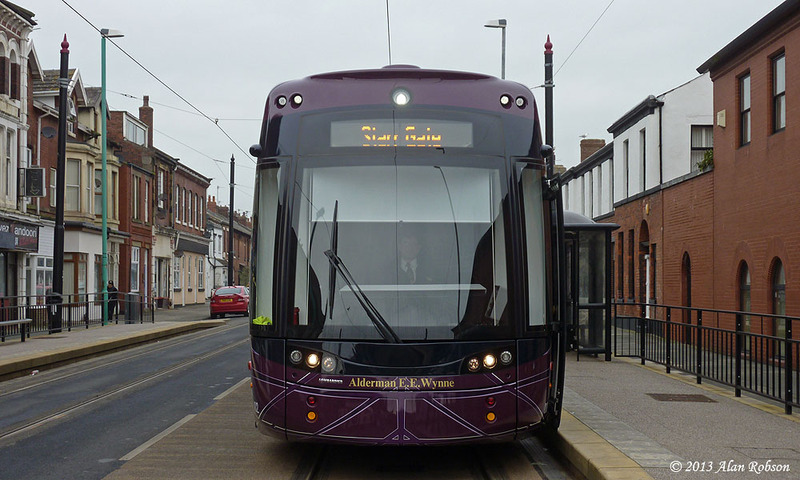 Wynne" in a ceremony at Starr Gate depot on Friday 15th February. 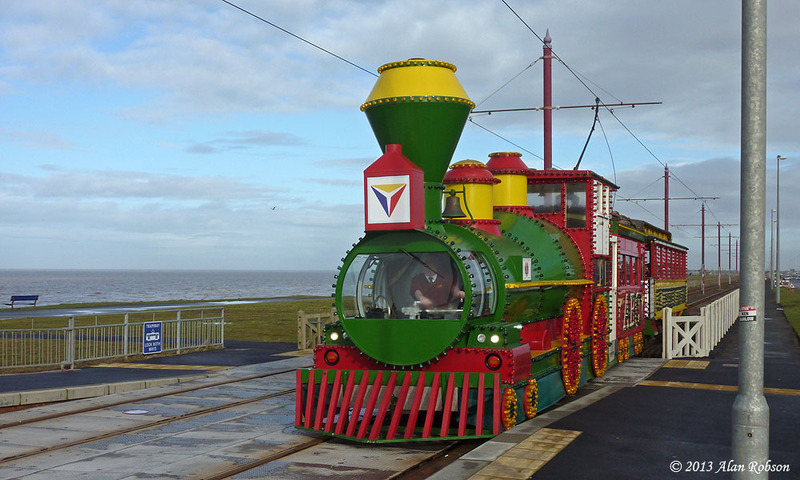 After the naming ceremony the invited guests were treated to a ride along the promenade onboard 002. Subsequent to yesterday's naming ceremony, 002 re-entered normal passenger service today. 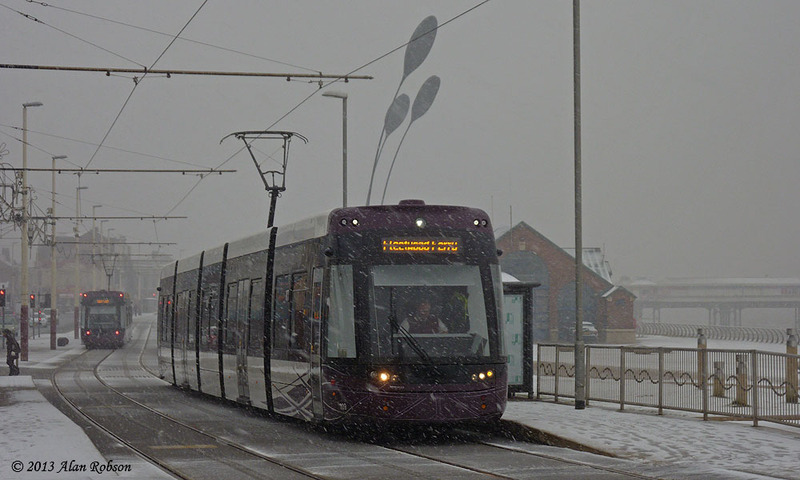 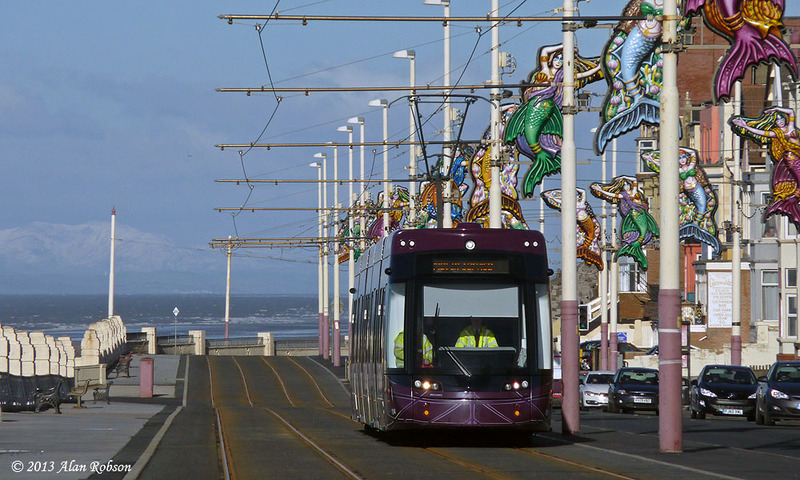 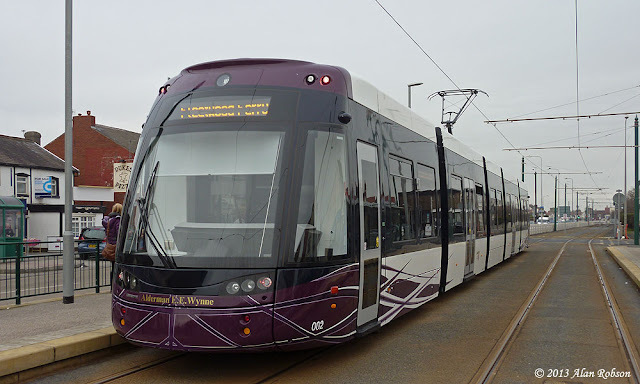 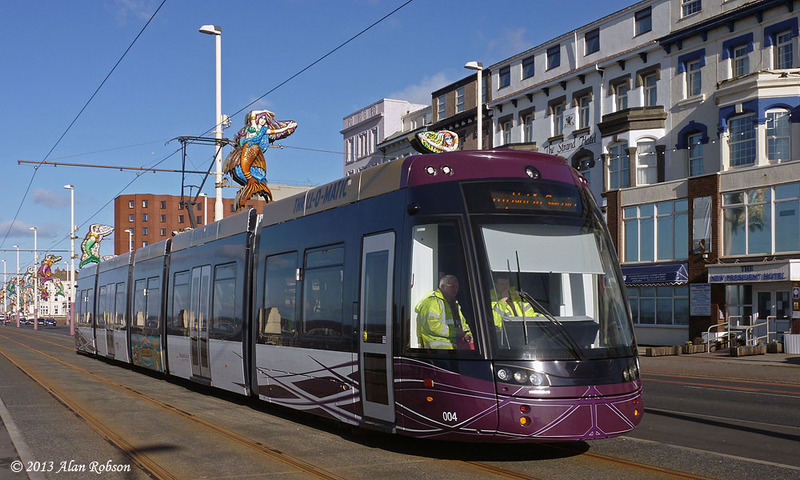 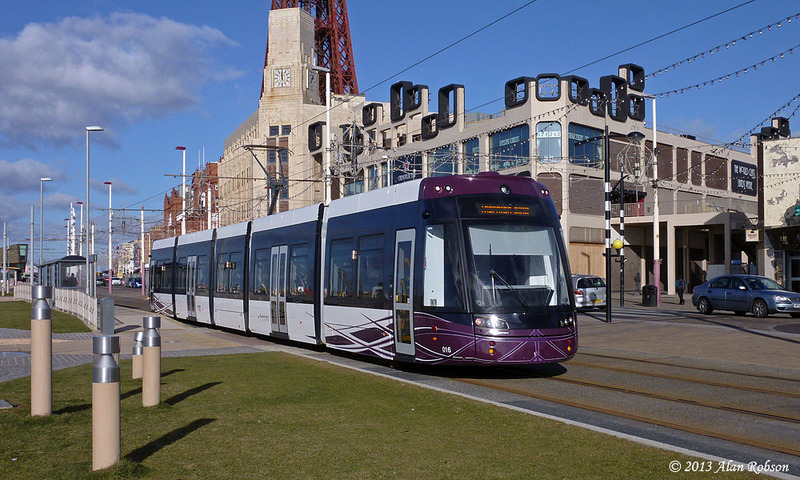 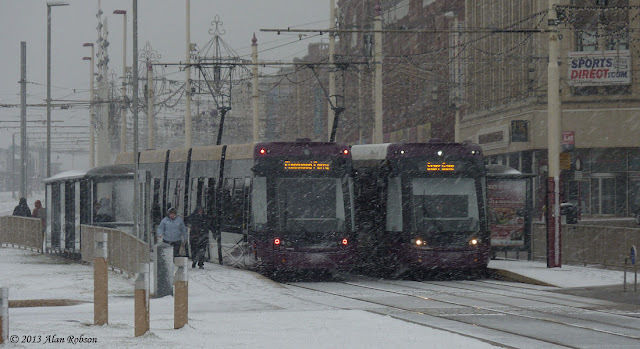 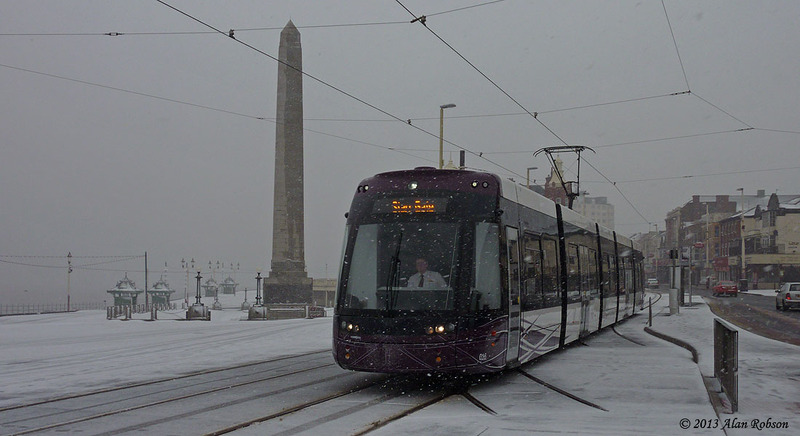 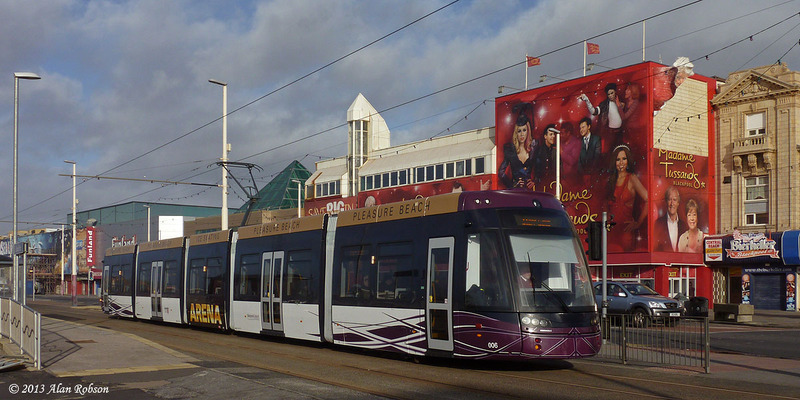 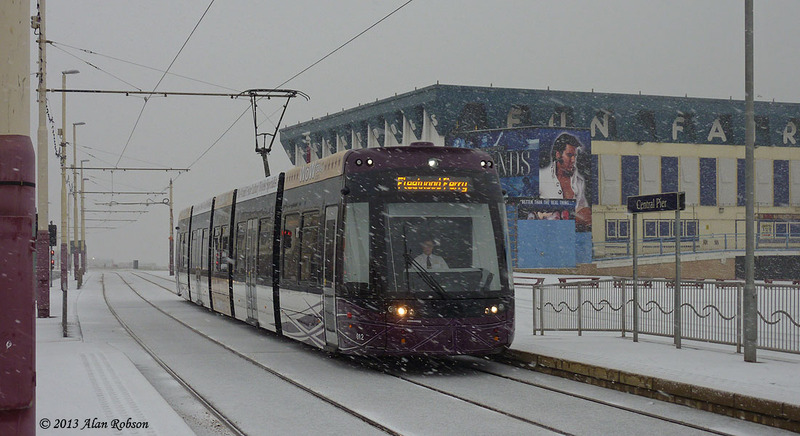 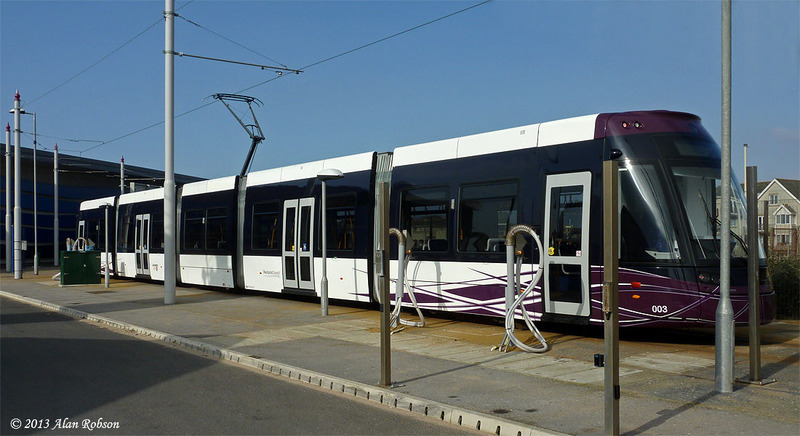 It is to be hoped that the tram manages to stay in service for a bit longer than the few days it managed on its first outing in service three weeks ago, after its return from Bombardier in Germany back in November. 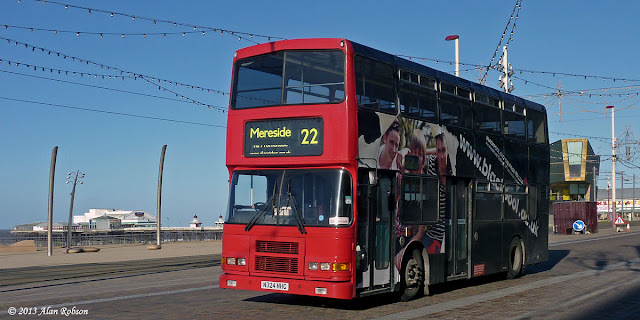 Alderman Edmund Ernest Wynne served on Blackpool Council for 38 years, and was the Mayor of Blackpool from 1972 to 1973. 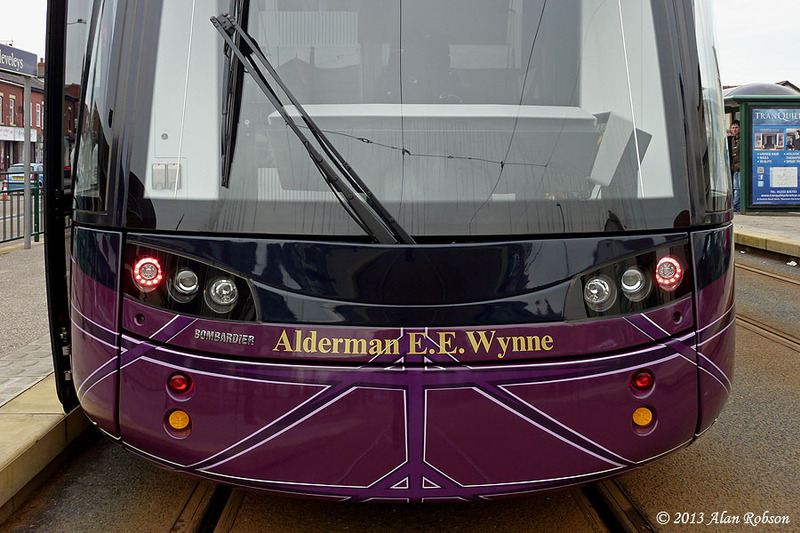 Mr Wynne was also the chairman of the Transport Committee for six years in the late 1950s. 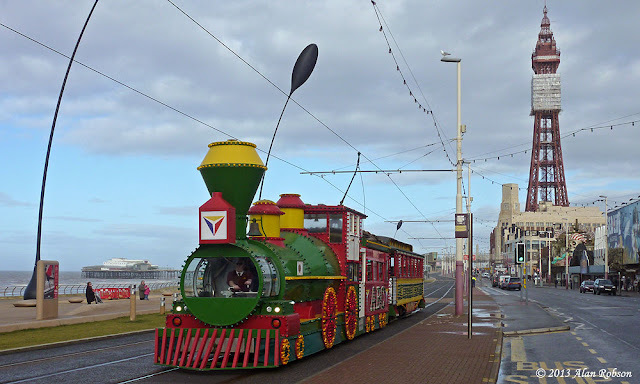 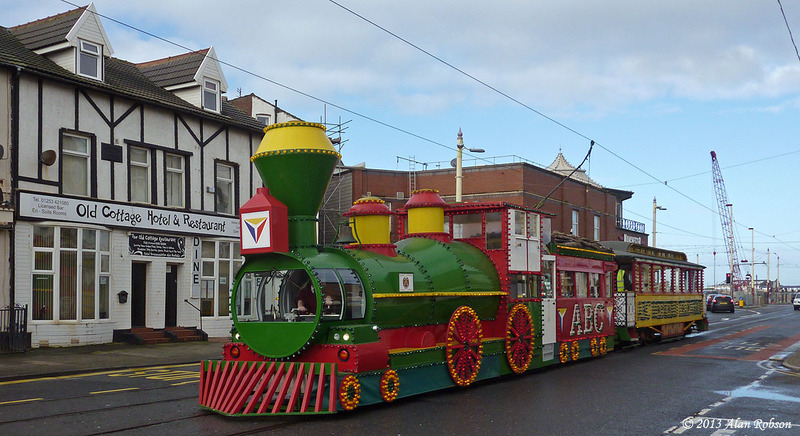 The Western Train was in use on a private hire on the morning of the 14th February, giving a party of children a tour of the system between the Pleasure Beach and Little Bispham. 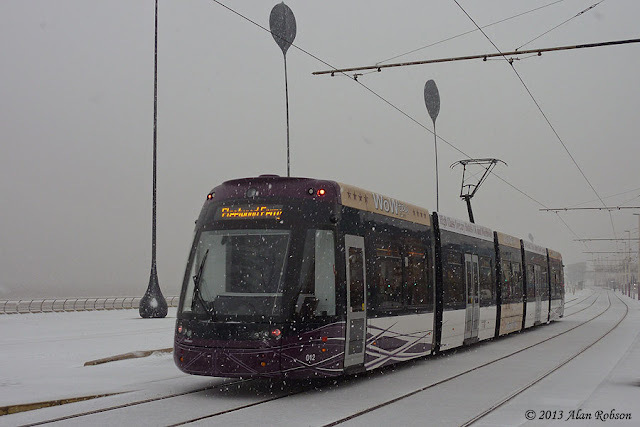 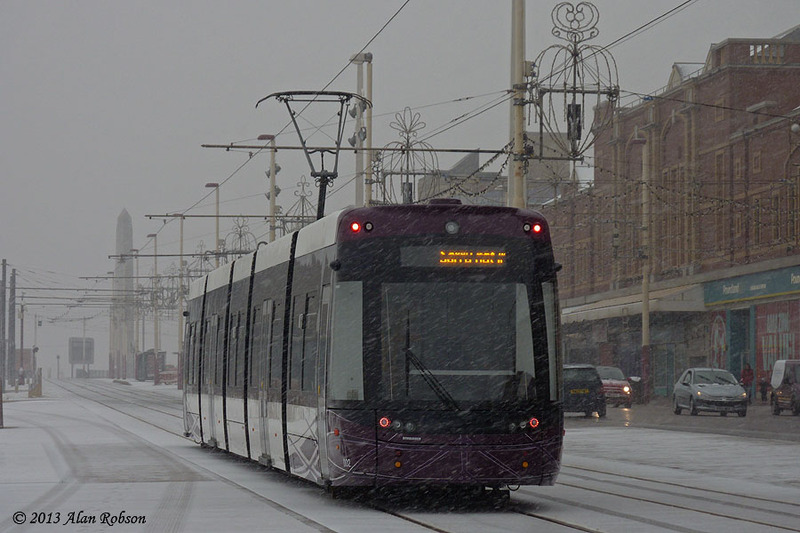 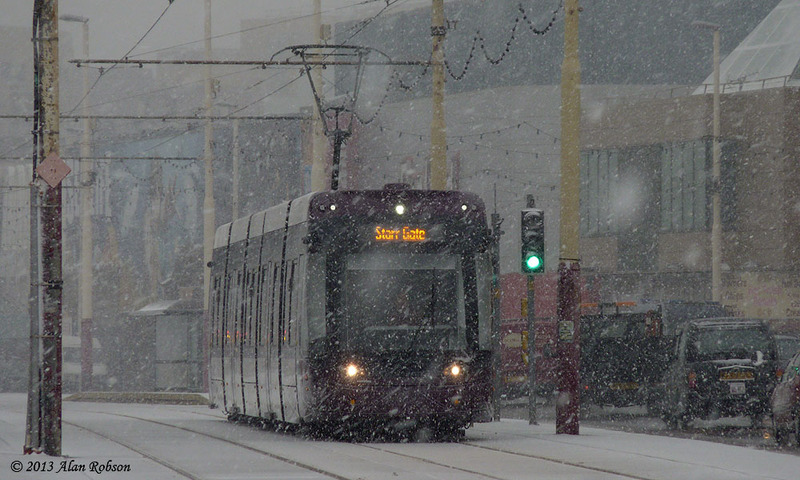 Snow showers hit Blackpool again this morning, with the snow beginning to fall around 9.00 am, and continuing until just after 11:00 am, by which time it began turning to sleet and then rain, with the snow starting to vanish quickly from the promenade by around midday. This time the amount of snow didn't warrant using the snowplough, especially as the forecast was for the snow to begin turning into rain at lunchtime. 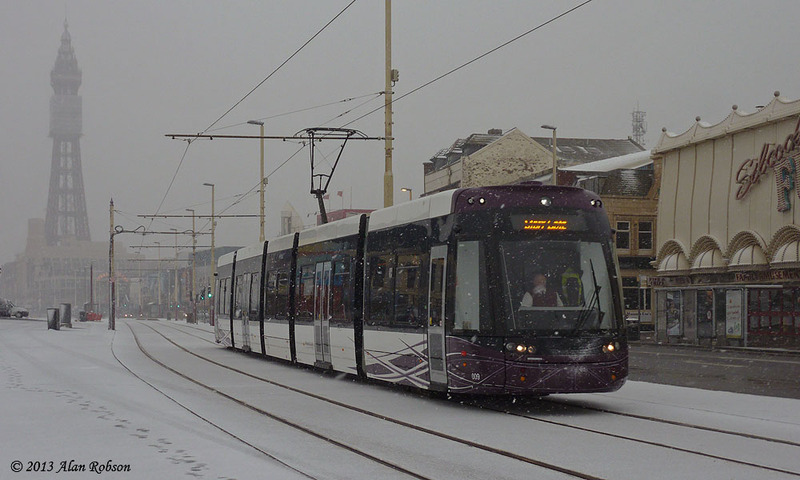 Again the new Flexities coped very well with the relatively short period of snow. 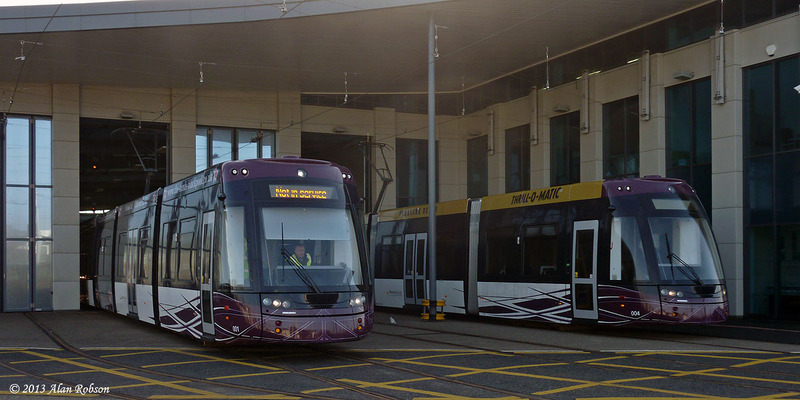 Flexity 002 was noted out on test in the morning, having been notably absent from the promenade since its brief entry into passenger service a couple of weeks ago. 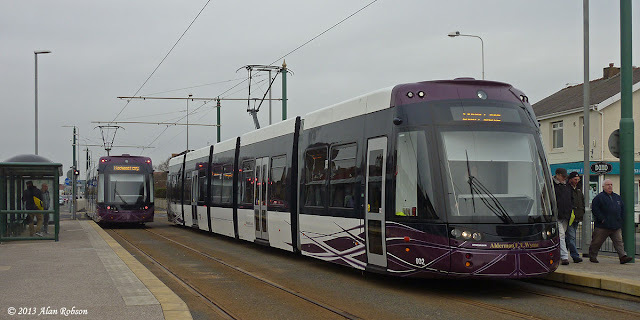 Flexity 003 was seen on a short working to Thornton Gate during the late morning. 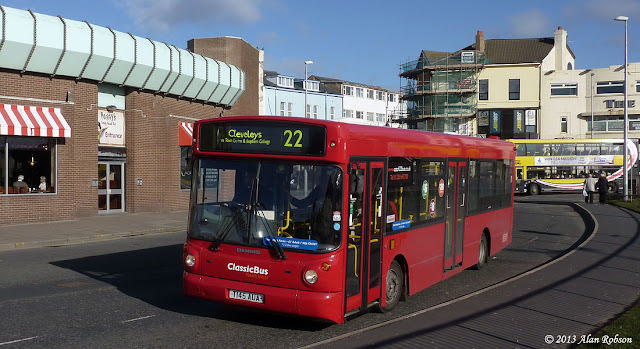 Former Metroline of London Alexander bodied Dennis Dart T145 AUA is the latest Classic Bus North West vehicle to join the Catch 22 fleet, entering service on the route in February. 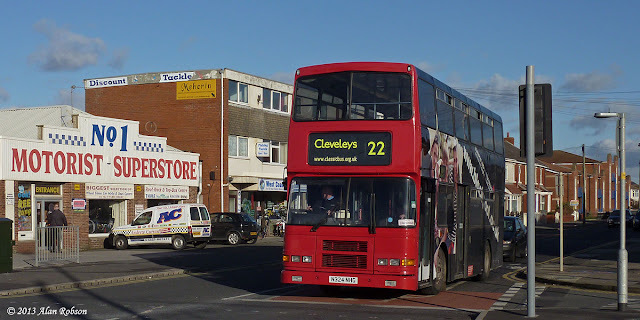 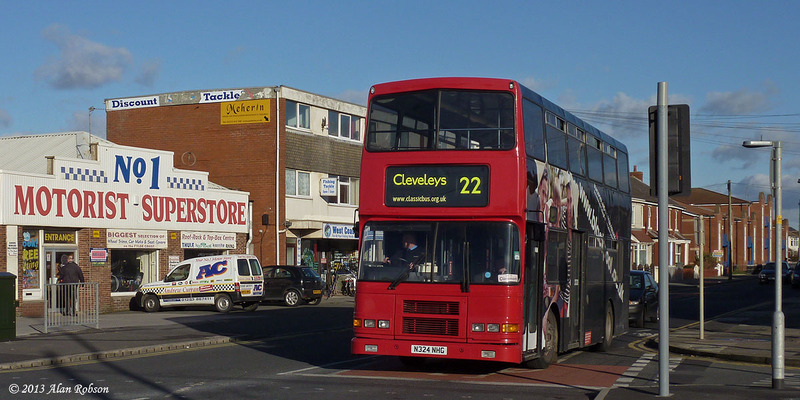 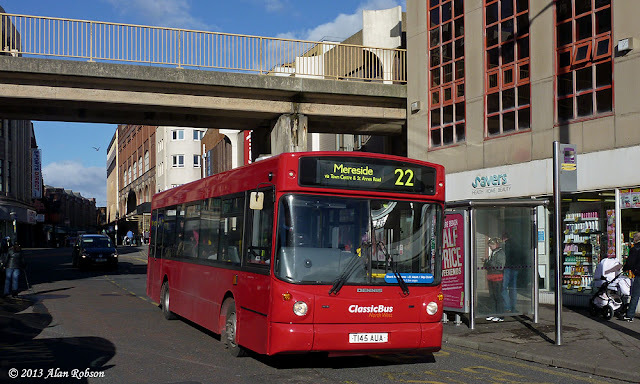 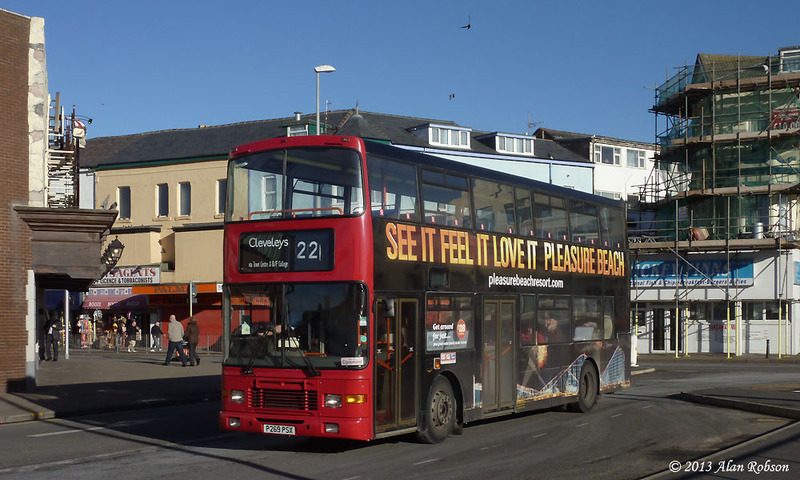 The 22 route has seen double-deckers operating on it recently, due to two Dennis Darts currently being off the road. 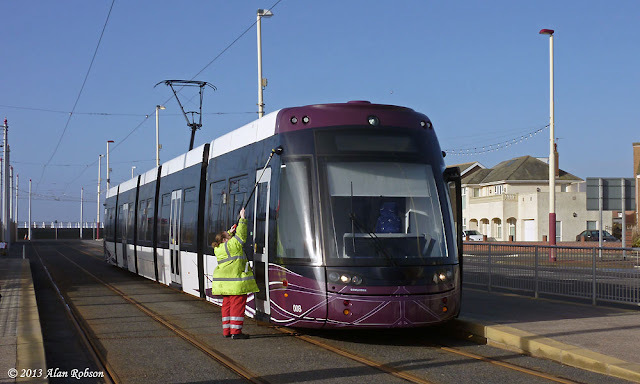 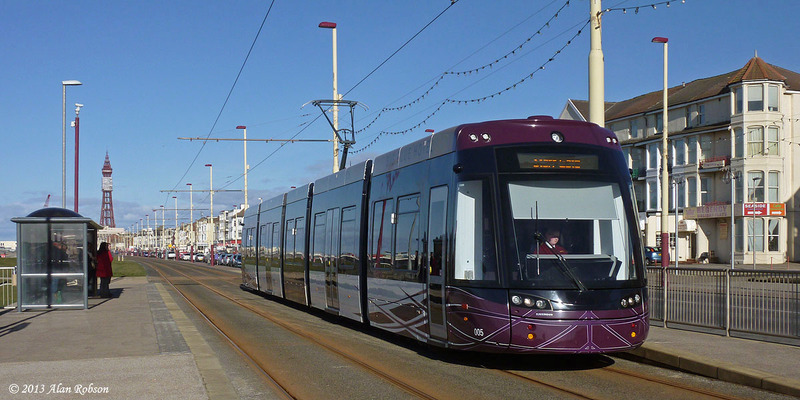 A pensioner was clipped by Flexity 004 between West Drive and Beach Road in Cleveleys this morning as she crossed the tram track. 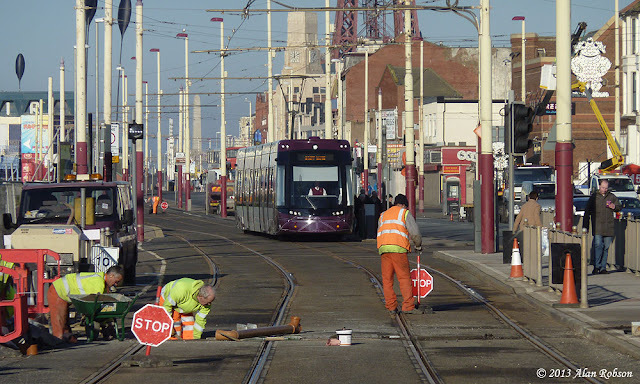 Because of this incident northbound trams were being turned back at Cleveleys for about an hour until the tramway was cleared. Flexity 004 was noted southbound at Gynn Square at 12:55, returning back to Starr Gate depot with an engineering crew on board and displaying the message "Sorry Not In Service" on the destination screen. Flexity 016 was noted working a short service to Thornton Gate after the tram tracks were cleared, presumably for positioning reasons to try and regain a normal service frequency. The last week has seen a few Flexities appearing back in service that have been absent from the operating fleet for a while. 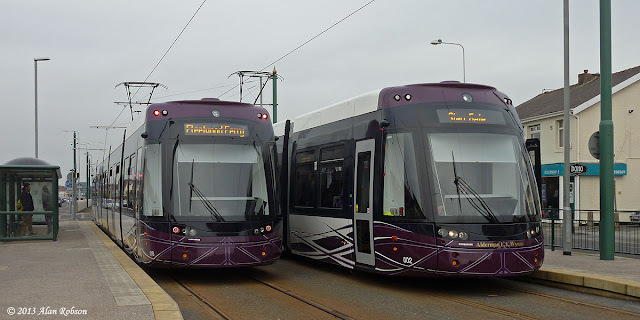 On Friday 25th January, Flexity 002 was noted back in passenger service for the first time since it had returned from Bombardier in Germany on 1st November, it had been confined to driver training duties in the interim. Flexity 006 also returned to the operational fleet last week, having spent five months laid up in Starr Gate depot as the 'spares' tram, being robbed of parts to keep the rest of the fleet operational. 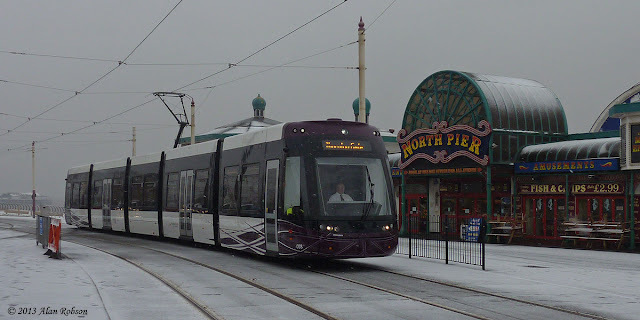 001 was noted out on test during the week, and both this tram and 005 have now returned to use again after a period of absence.